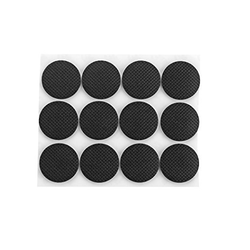 Pioneers in the industry, we offer Industrial Pads such as Neoprene Pad, Rubber Pads and Anti Vibration Pads from India. Ever since foundation, we are instrumental in manufacturing, supplying, wholesaling, trading, retailing and exporting superior quality Neoprene Pad. The products we offer are manufactured making use of high-quality materials, which we obtain from trusted vendors of the market. Clients can avail these products in different sizes and specifications at market leading prices. 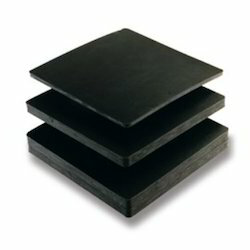 We are dedicatedly engaged in manufacturing, exporting, wholesaling, trading and retailing various types of Rubber Pads. The pads we offer are acclaimed by the clients for their outstanding insulation and resistance properties. In addition to this, we ensure to deliver the products within the postulated time-frame, via sprawling distribution network. 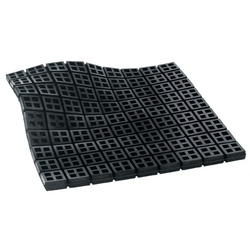 Our expertise in this domain has enabled us to manufacture, supply, wholesale, trade, retail and export a vast array of Anti Vibration Pads. The offered products are manufactured using optimum grade rubber, obtained from acclaimed vendors of the market. Customers can avail these pads in various lengths and dimensions at competitive rates.